Real O’Neals, The (television) Series on ABC, debuting on March 8, 2016. In Chicago, the O’Neals appear to be your all-American perfect family, but mom, Eileen, is forced to admit that her marriage is on the rocks. Her soon-to-be ex-husband, a police officer, is the emotional center of the family, and he and Eileen try to parent the best they can through all of this upheaval. When teenage son Kenny decides to come out as gay, it ultimately proves to be a good thing, but he never would have imagined his admission would result in also outing his entire family’s secrets. The O’Neals stop pretending to be perfect and actually start being real, which actually brings them closer together. 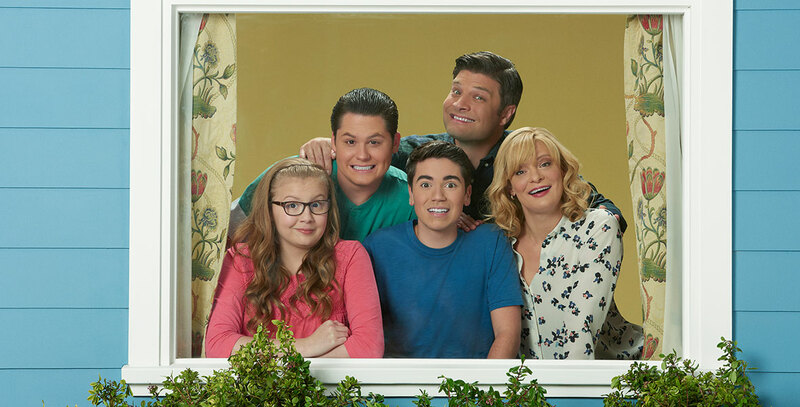 Stars Martha Plimpton (Eileen), Jay R. Ferguson (Pat), Noah Galvin (Kenny), Matt Shively (Jimmy), Bebe Wood (Shannon), and Mary Hollis Inboden (Jodi).